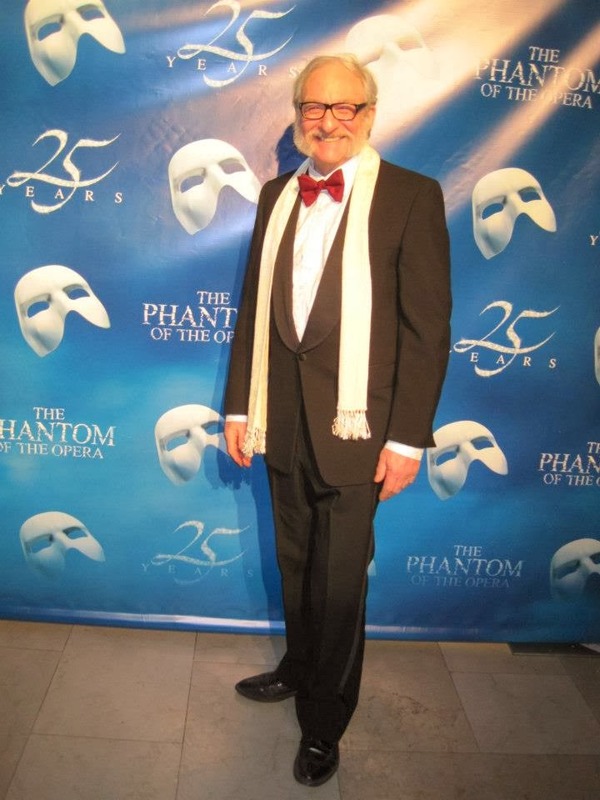 The Phantom of the Opera is the longest running musical ever, and by a wide margin. For 26 years of continuous performances this story has touched the hearts of audiences on Broadway. Far beneath the majesty and splendor of the Paris Opera House, hides the Phantom in a shadowy existence. Shamed by his physical appearance and feared by all, the love he holds for his beautiful protégée Christine is so strong that even her heart cannot resist. Considering I have seen so many shows over the years it's surprising that the first time I saw Phantom of the Opera on Broadway was a few weeks ago. This is especially unusual because my husband's cousin Tim Jerome had been playing the role of Monsieur Firman during the time we lived in New York City several years ago. We kept planning to see Tim in the show but knew that Phantom of the Opera wasn't going anywhere so we had plenty of time. We thought we'd wait until the perfect night, like when family or friends came to town and we'd all go. However, we didn't think of the possibility that Tim could go somewhere....but he did, on to one of the leading roles in Tarzan, The Broadway Musical, (as Professor Porter). So, we missed our chance to see Tim in Phantom. Now, the odds of having a family member with a major role on Broadway are slim to none for most families. There he was only 15 blocks away night after night for two years and we never saw him in Phantom. In this I learned a lesson about putting things off. You can bet we saw Tim in Tarzan on Broadway (very early on)...and in 2008 when he was in a touring production as Alfred P. Doolittle in My Fair Lady, we were there. 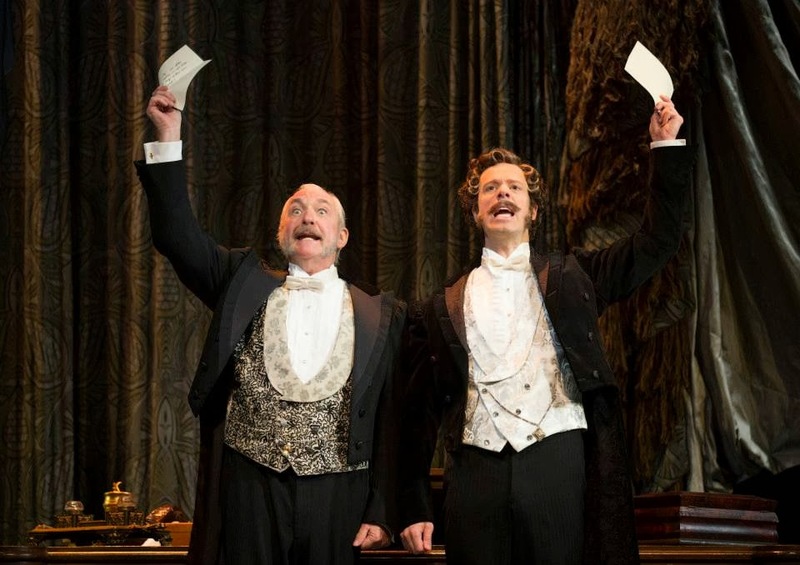 Now history has repeated itself and in 2012 he returned to his role as Monsieur Firmin in Phantom on Broadway. So we made sure to catch him in this role this time around, even though it involved a flight across the country, it was well worth it (and besides we had no one to blame but ourselves for that). The show was spectacular! Tim is a truly talented actor who has dedicated his life to the craft....and it shows. He was a fabulous part of this stellar cast. For those who do not yet know the story behind Phantom of the Opera we will start with young Christine, just a girl in the ensemble with a voice and a dream. A story told to her by her dying father that he will send her an angel of music seems to come true when a mysterious "phantom" from the shadows of the opera house visits her repeatedly while creating chaos around him. She wonders is he just a brilliant and lonely soul, or is he dangerous too? Enter Raoul....long before Facebook's help he finds his long lost crush Christine while watching a performance only to discover she seems to be under the spell of a strange, freakish being from the shadows of the opera house. He does his best to pull her away and into his arms. Does he succeed? Phantom has been performed in the past 26 years in several countries but the Broadway version is the original, where it all began. 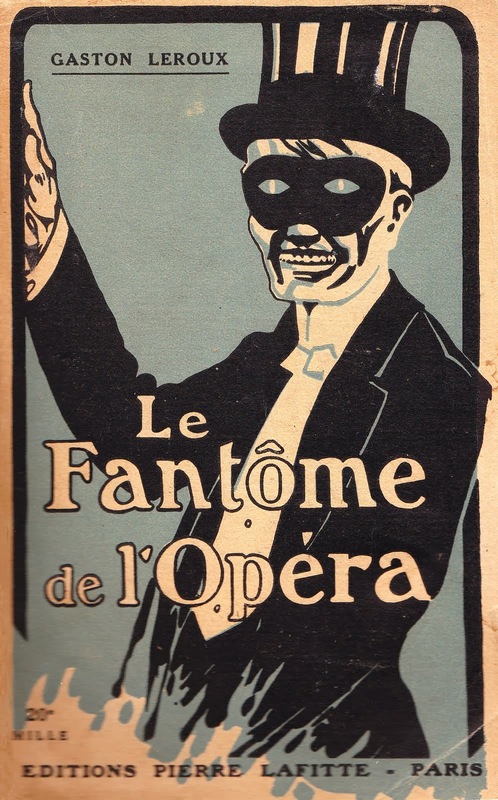 The direction of Harold (Hal) Prince, music of composer Andrew Lloyd Weber, and the book and lyrics of Lerner, Stilgoe and Hart brought to life the story first told by Gastron Leroux (in a novel published in 1911 of a strange opera house phantom). When this show debuted on Broadway, Ronald Reagan was President of the United States, the internet was in its infancy, almost nobody had a cell phone and the word "tweet" was something only a bird did. So much has changed, but the Phantom of the Opera has remained a consistent hit Broadway show for over 10,000 performances on Broadway alone, (not to mention worldwide performances of this musical). That says it all about this story, and the actors, musicians and crew who have and continue to bring it to life! Monsieur Firmin is a truly rewarding, enriching experience." Published in 1911, the original novel. Phantom of the Opera fans are called Phans! Remember the Las Vegas Phantom? Ran for six years at the Venetian...This was my farewell. Why do they call it a GRAMMY Award? Tomorrow The 56th Annual Grammy Awards air live on CBS. Originally called "The Gramaphone Awards" (hence the logo), the name was updated to "Grammy Awards" long ago. For these awards the members of the National Academy of Recording Arts & Sciences vote annually for 78 categories of winners. I know a lot of people think there are too many awards shows these days. I am not one of them....because I am one of them....not in a big way of course, but before the nominees and winners accept, present and perform, one of my peers or myself has done it first at rehearsals. However, The Grammy Awards are one of the shows I have not yet worked, but my rehearsal actor/stand in peers in L.A. must be having a great time rehearsing with this year's line up. At the very least awards shows keep us all up to date on who are the top artists...well, at least the top famous ones because as we all know there is a lot of unrecognized talent in the entertainment business. Also, as far as awards shows go The Grammy Awards are here to stay because they matter in the entertainment business...a lot! They are equal to the music biz what the Oscars are to acting and film. 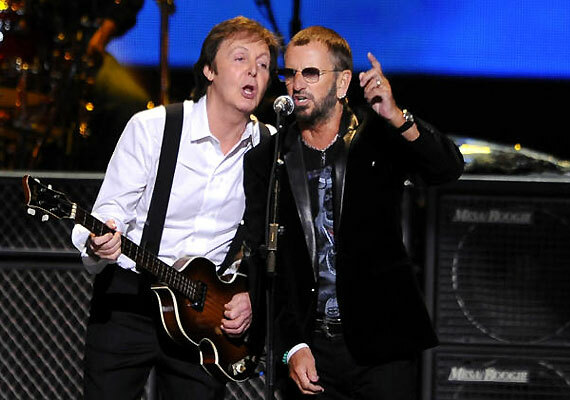 As far as "recognized" talent goes, no doubt the biggest draw will be performances by Paul McCartney and Ringo Starr. Both are performing live on The Grammy Awards (but not necessarily together) and are being honored with a Lifetime Achievement Award for The Beatles. This year The Beatles celebrate FIFTY YEARS since their American debut! Although many Americans cannot name the Presidents of the United States, (at least the ones before Kennedy), I bet a majority can easily rattle off the four members of The Beatles...John Lennon, Paul McCartney, George Harrison and Ringo Starr. 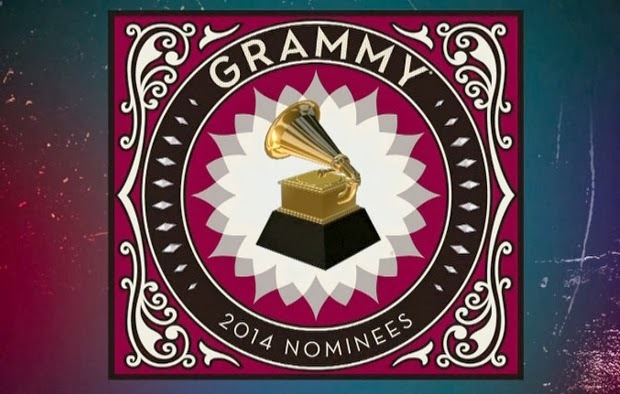 Below is a list of all of the nominees for the 2014 Grammy Awards. If you read further down you will see Grammy Awards that are not presented during the prime time telecast, ones like "Best Choral Performance", "Best Orchestral Performance" and "Best Album Notes"....(seriously, that is a Grammy Award category). I have to admit I don't know of some of the artists on this list...better watch the show tomorrow so I am up to speed on Queens of the Stone Age, James Blake, Kendrick Lamar, and more. When you live in Las Vegas as I do there are performers you intend to see but for some reason take a long time to get around to it. 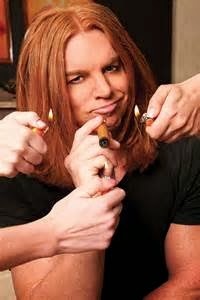 One of these for me was Carrot Top. A resident performer at The Luxor Hotel & Casino for several years now, he has reached a milestone....30 years as a professional performer, so I thought it would be a good time to finally catch his act! Scott "Carrot Top" Thompson is a Las Vegas headliner who is known as a great guy who is good to his fans, and one of a kind.....which means he fits in perfectly in a town full of one of a kinds! Filing into his theater at The Luxor, I wondered if Carrot Top's show would be a little dated or contrived, because he has been doing it for so long....Ha, not even close! The guy keeps it fresh and up to the minute with a blend of prop comedy, improv, rock and roll, and talk back that is as sharp and witty as it gets. It was great! I believe there is more to him than meets the eye. His obvious love for heavy metal makes me wonder if he can sing? 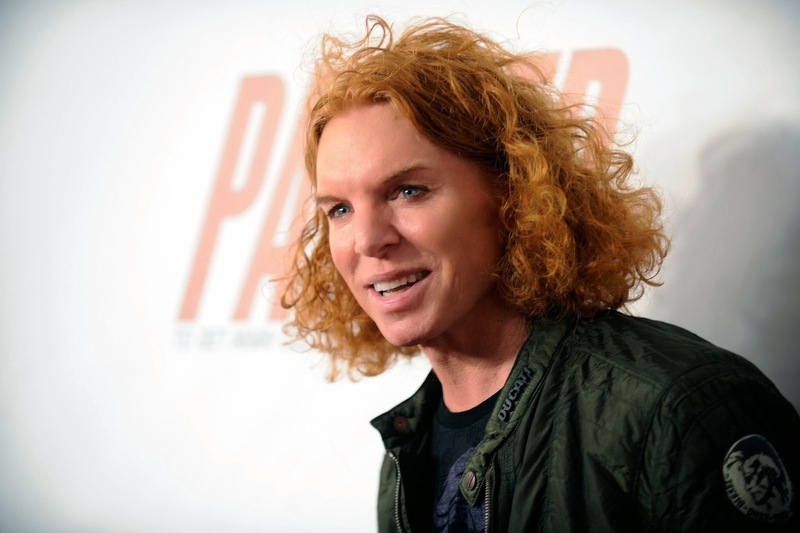 Also, I couldn't help but think Carrot Top would make a great Puck in Midsummer Night's Dream. Although that is not something I expect he will ever do....but then again with him you never know! Born in Rockledge, Florida he currently lives in Orlando and Las Vegas. His father was a NASA engineer, his mother a bank executive. 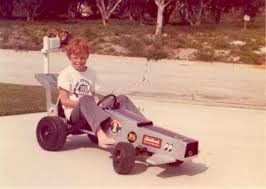 His brother grew up to be an F16 Fighter pilot, but Scott's path was obviously different. Comparing his career to his brother's, some would say it takes as much courage to be an entertainer as it does to fly F16s!..... (no wait it was Kanye West who said that). Scott's first stand up comedy routine was as a college freshman at Florida Atlantic University. He graduated with a degree in marketing before embarking on his comedic career. Like many comedians before him he started out performing at hotels, parties, comedy clubs, and even a turn on "Star Search." Since then he has and still performs all over the world, including well known TV, film and voice over roles (almost always playing himself), in addition to his long term residency at The Luxor Hotel & Casino. He has said "My way of fitting in was telling jokes and making people laugh." Here are my FIVE E-Z tips for crushing your resolutions in 2014! First and foremost, only make three New Year's resolutions, MAX. One is best, two is good and three is really asking for a lot of change in one year. Let's face it, most of us want to but can't seem to change even one long standing habit and so it ends up on the list year after year. So, one is enough if it's all you've got in you, two is inspired and three is really being ambitious! If you make more than two resolutions make that third one easy! 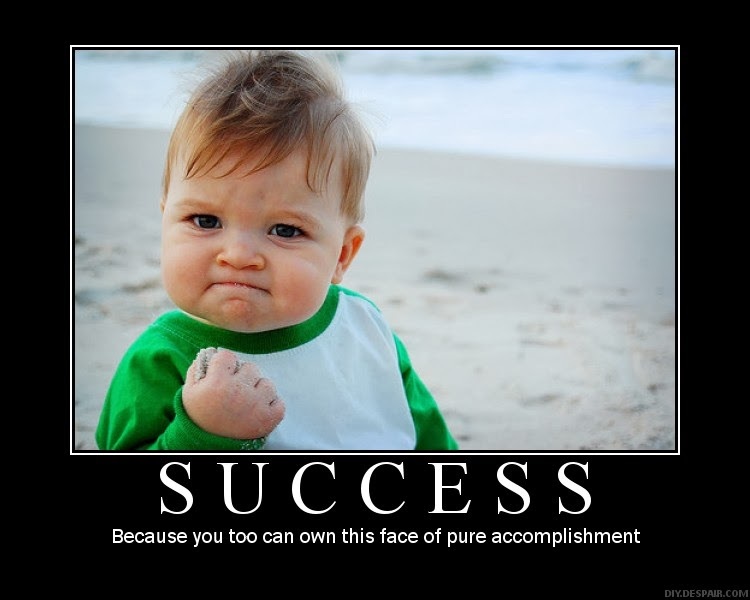 Make it so easy that you accomplish it fairly early on in the year and it fills you with confidence for the other two. Tell a friend or family member your resolutions. Then have them tell you theirs. That way when you aren't doing very well on yours and they bring it up you will remind them of their similar failed attempts! Then you can both laugh at your lack of progress and recommit over coffee or a drink, (or a magic brownie, if you live in Colorado). Don't try more than one resolution at the same time. You have ALL year to accomplish these resolutions right? So, start on the easiest one first then tackle the other one (or two). If you haven't started on that second one by spring, that's okay because you've still got NINE months! If human beings can be created in that amount of time you can certainly tackle and accomplish at least one resolution. (This is especially true if your resolution is to become a parent)! Create a document out of your resolutions and make it your screen saver! How can you ignore your commitment to yourself when every time you log into your laptop it says..."Get in Shape!....Save More Money.....and Stop Twerking!"... (or whatever YOUR resolutions are). where your dreams (and resolutions) come true!